This enchanting old setting is one of Victoria’s most sought after event venue. 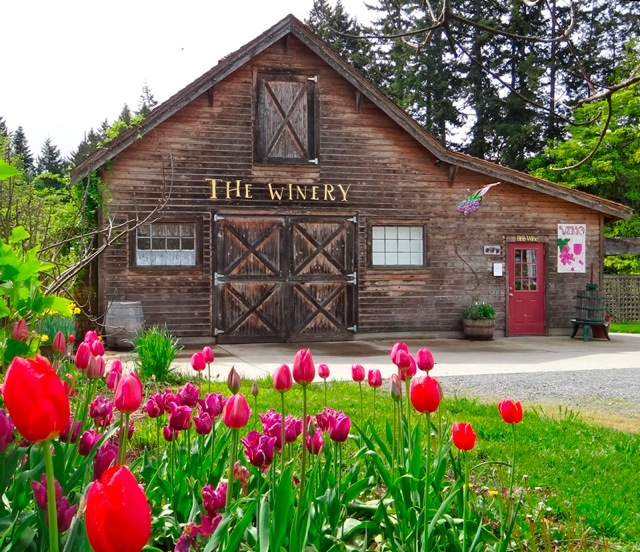 We are located just off of Old West Saanich Road, among the beautiful vineyards of Victoria, British Columbia. The Municipality of Saanich is so fortunate to have this valuable cluster of agricultural heritage significant buildings within its boundaries and every effort is made to preserve them. This charming old world farm location is filled with gracious ambiance. The ample flower beds are stunning within each season and the authenticity of the different areas is remarkable. Plan to make your special day uniquely yours with casual elegance, dignity, beauty and happiness. Beautiful facilities, many extras, advice, friendly experienced service where every effort is made to make your day memorable. All funds raised are for heritage restoration of this charming old site. All activities on site are part of agritourism with heritage, and vineyard tours available.